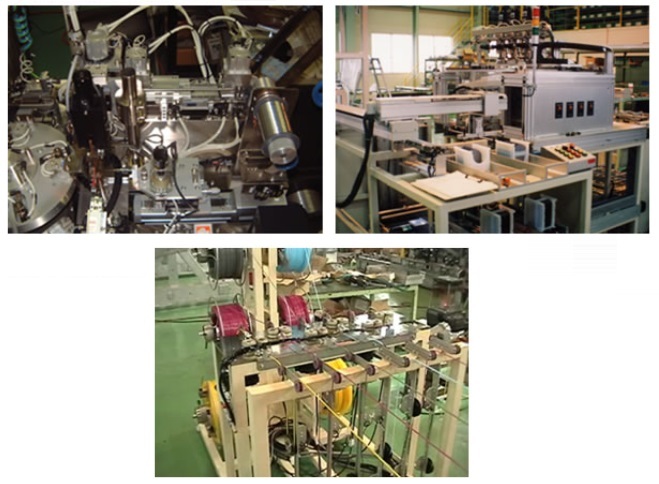 Sanei-Kikai Co., Ltd., is a Japanese company located in Yurihonjo and was founded in 1971. The Company is involved with the design and production of industrial machines from precision to large-size; with the design and production of electronic control system and labor saving machines; with the wire and steel manufacturing; with mold manufacturing; with plant construction and equipment installation; with the design, production, and installation of jigs and equipment for aircraft production; with maintenance services. In relation to the aircraft industry the company has been awarded a contract to manufacture the ground support equipment for aircraft maintenance hangar for the Japan Air Self-Defense Force and has also received an authorization from Ministry of Defense on manufacturing aircraft maintenance equipment (A-grade No.11-15-1085). Sanei has also been choosen for the delivery of the maintenance equipment for AWACS in Hamamatsu base. The company is in cooperation with NIPPI Corporation on the jig manufacturing and assembly of airframe. The Company's Major clients list includes amongst others the: Mitsubishi Heavy Industries Ltd., Fuji Heavy Industries Ltd., Nippi Corporation, Japan Ministry of Defence, TDK Corporation. This is a Sources Sought Notice for a Retractable Paint Booth. THIS IS NOT A REQUEST FOR QUATATION OR AN ANNOUNCEMENT OF A SOLICITATION. THIS IS FOR MARKET RESEARCH ONLY. Amendment 0001 to FA520519QB007 (Changes are highlighted in yellow).